If you like water sports then this is for you. 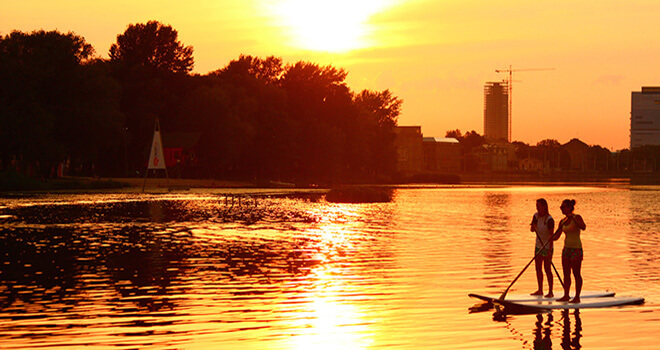 You can see beautiful views of Riga and sunset. 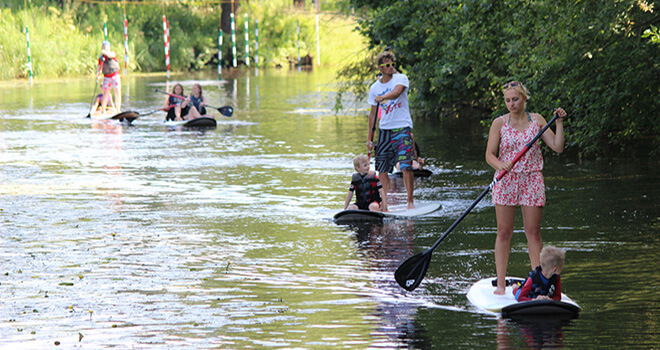 What can be better than warm summer evening, you are on a sup board enjoying plenty of new impressions! You will be picked up from your hotel and driven to water sports center. 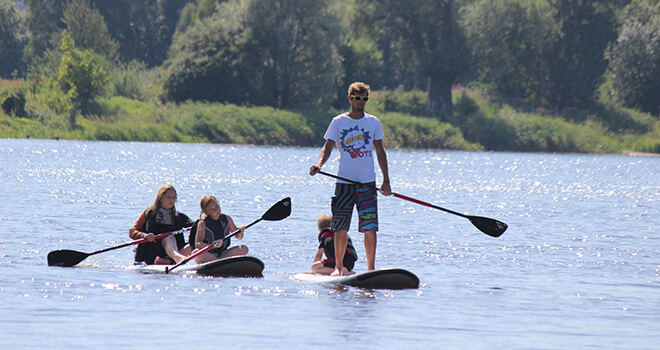 You can enjoy many water sports and one of them is Sup boarding. Sup board means stand up paddle board. 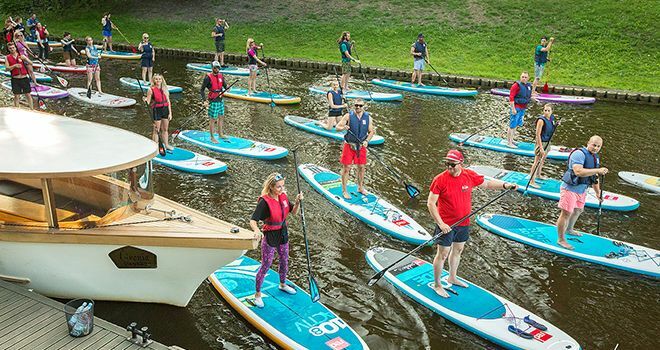 This is a little bit similar to the traditional surfing where the rider sits on a board, but sup boarders stand on their boards and use a paddle to get through the water.